Mitchell 1 is a one-stop-shop for all things relating to your auto repair service: repair information, shop management and shop marketing. From product brochures and videos to industry resources, you’ll find it all here. Simply click the category to access Mitchell 1’s library of free materials and information. Be sure to also visit our Get2Know online product training center, where you will find many helpful resources including how-to videos, getting started guides, live training opportunities and support information. It’s a gold mine of information if you have questions about any of our products. Reach new customers through paid search advertising or improve the performance of your current online ads with this full-service Google Ads digital marketing program. Streamlines searches in TruckSeries with user-friendly graphical design and intuitive workflow. 6 Benefits of leveraging your auto repair shop reviews and how to do it. 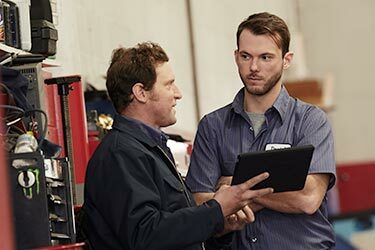 This document takes a look at the benefits of integrating a mobile platform within your auto repair shop. This document answers a number of questions about Mitchell 1 labor times used in estimating.